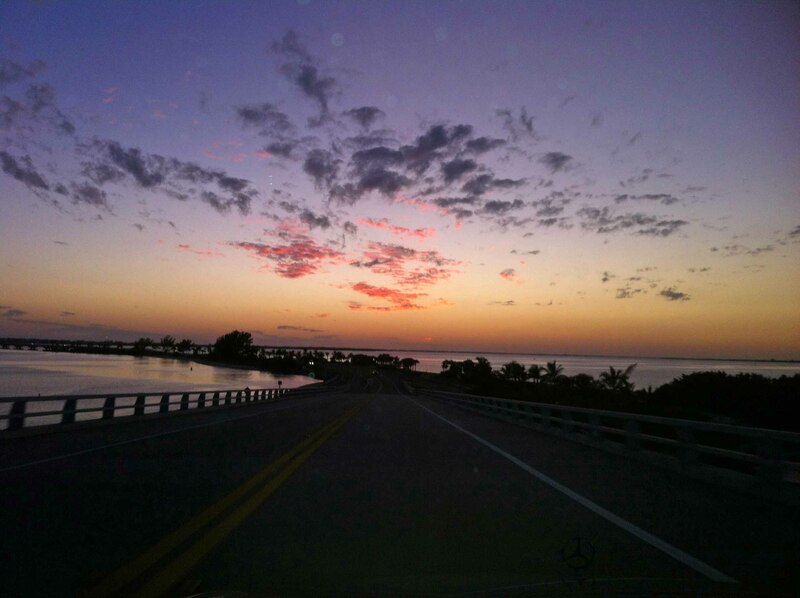 "Sailors delight" Wed heading on the island about 7 p.m.
It’s the end of another good week of real estate activity on Sanibel and Captiva Islands. Many of our listings had showings and at our Realtor Caravan meeting yesterday several new sales were announced. See the details on those at the bottom of today’s blog. I was out a couple of times showing condos this week too, while our pals in rentals say that their phones were ringing off the hook this morning as a result of the snow flurries in the northeast last night. All good news. These sale prices and numbers of sales are a far cry from the heydays of 2005 and 2006, but it appears to be good solid improvement just the same. Vacant land sales are not doing as well, but as the inventory of homes goes down, lot sales should improve too. “They may be an unofficial Florida mascot, but wild-born flamingos have all but disappeared from the Sunshine State. Spotting one in these parts is “rarer than rare” says naturalist Vince McGrath, which is why area birders are abuzz about several recent sightings of the graceful creatures in Lee County. 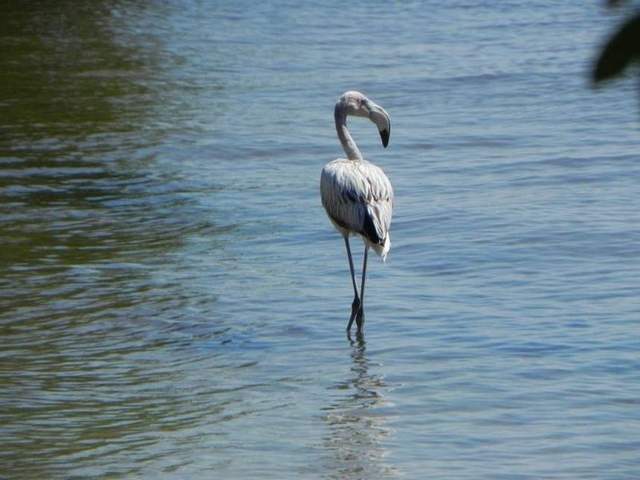 A group of Alva Elementary School fourth-graders on a field trip to Bunche Beach near the Sanibel Causeway last week watched a lone flamingo feeding, preening and resting in the shallows before it took flight. The bird’s feathers had only traces of the characteristic coral pink, which leads McGrath to believe it’s a youngster. Other birders have seen flamingos elsewhere in the region. Nine flew north past Barefoot Beach near Bonita Springs last week, says Gayle Sheets, who volunteers with Lee County Bird Patrol (birdpatrol.org), a group that monitors birds throughout Lee County. While out for lunch with a colleague this week, we spotted this papaya plant at one of our favorite island haunts, Doc Ford’s. When we asked their Manager Liz about it, she said that the top leaves of the plant were hiding their sign so they trimmed them off. Now we are wondering when we will see the restaurant serve their famous fish tacos with their own fruit. This tree is loaded. An interesting article by Jon Prior was posted last week on LinkedIn. It includes varied opinions on the status of real estate currently held by lending institutions. “The sale of properties repossessed through foreclosure may not peak until 2013, keeping home prices from a meaningful recovery for some time, analysts estimated Monday (10/17/2011). Nearly half of the more than 552,000 REO (real estate owned) properties liquidated in the first half of 2011 were held by private banks. In the years ahead, the government – including the Department of Housing and Urban Development, Fannie Mae, and Freddie Mac – will begin taking a majority of the activity. “Most of the projected increase will come as the government begins to unload its backlog. The government-sponsored enterprises and HUD, analysts estimate, will liquidate roughly 595,000 properties in 2013 alone. Total REO liquidations wouldn’t drop below 1 million until 2015, according to BofAML. “The Obama administration began work last month developing new strategies for selling this mass of properties, which may involve renting more of them. The Federal Housing Finance Agency is also working on a way to refinance more underwater borrowers to entice them from walking away. “I would essentially rent the house back to those who are living in them now,” said Susan Woodward, an economist with Sand Hill Econometrics. “I don’t think it makes a lot of sense to push 4 million people out of their homes when they’re victims of a slower economy they had nothing to do with.” Other analysts were skeptical of anyone who could predict accurately what the GSEs or Washington would do, especially after the elections in 2012. “Do they really think that the government under any administration would let 500,000 homes hit the market and crash prices all over again, six years after the first crash?” said Scott Sambucci, chief analyst at Altos Research. He said even if unemployment improved by a full percentage point or two — which he said would be a stretch — the market would still struggle to meet such a supply influx. “It would crash the market, so no, it’ll never happen,” Sambucci said. “Daren Blomquist at RealtyTrac, which monitors foreclosure filings across the country, said the sale of REO is on track to reach 825,000 by the end of 2011. “We do expect the REOs to pick back up in 2012 as lenders push through some of the foreclosures delayed by processing and paperwork issues,” Blomquist said, adding the inventory needed to be sold could reach well into the millions. “If half of the 800,000 mortgages currently somewhere in the foreclosure process and another half of the 1.5 million loans in serious delinquency end up REO, it could mean an additional, 1.15 million properties that would need to be liquidated — not including new foreclosures that enter the process, according to RealtyTrac. “That’s very possible given continued high unemployment rates and high underwater rates,” Blomquist said. RealtyTrac estimates roughly 27% of all outstanding mortgages are worth more than the underlying property. “Woodward said refinancing borrowers, in negative equity or not, down to current market rates could result in a total savings for U.S. households at $250 billion annually. When asked if private investors would return to fund the future mortgage market after such a radical change, she said they would. “I think the whole world would see this as a one-time fix. We did similar extreme things during the Great Depression,” Woodward said. “Investors themselves, though, showed little confidence they would take on such a risk again. In fact, most are trying to keep the government involved in the housing market for the future, to keep risks as low as possible. Otherwise, foreign investors would flee. “”President Obama is taking action.” At least that’s what the blog on WhiteHouse.gov says today in describing the President’s trip to Las Vegas. “We can’t wait to help homeowners,” it goes. That action consists of revamping an existing government refinance program through Fannie Mae and Freddie Mac for borrowers who owe more on their mortgages than their homes are worth, so-called “underwater” borrowers. There are an estimated 11 million of those nationwide according to CoreLogic. The original program, which started in 2009 and has helped about 900,000 borrowers get lower interest rates, was capped. You couldn’t owe more than 25% more than your home was worth. That cap is now gone, so you can be eligible no matter how underwater you are. Fees have been waived or lowered, banks have been largely let off the hook for reps and warrants on the loans (when they are forced to buy back bad loans), second liens can be transferred and mortgage insurers will move their coverage to the new loan. “While federal regulators and administration officials were releasing, explaining and selling the plan in Washington this morning, President Obama is making his pitch in a state where 60% of homeowners with a mortgage are underwater on those mortgages. But Las Vegas is also the foreclosure capital of America. 70% of home sales in August were of “distressed” properties, that is foreclosures and short sales. The number of new notices of default also surged in that month, up nearly 58% from July, as lenders ramp up the foreclosure machine again. “About those numbers: This plan is for current borrowers who want to get a lower monthly payment through a lower mortgage rate. Yes, it’s the first plan that “rewards positive behavior,” says Florida attorney and mortgage expert Shari Olefson, but it doesn’t do anything for the now 6 million plus borrowers who are either behind on their mortgage payments or already in the foreclosure process. It also does nothing about all those foreclosed properties sitting on the books of Fannie, Freddie, the FHA and the big banks that still need to be sold and right now can only be sold at below-market prices. This plan does nothing to stop the bleeding in home prices. Don’t get me wrong, it may make about a million and a half borrowers feel better about making monthly payments on an investment that will never show any return. It may stop some from walking away from their homes and mortgages. “It takes the sting out of it,” one underwater borrower told me today, but it doesn’t change the value of his home. Unless we fix the negative equity problem, we’re going to refinance all folks into lower rate mortgage, but fast forward a year or so from now and they’re going to sit back at their dining room table and say, look I’m still underwater, and we may see defaults again,” says Olefson. “The mortgage market is in a state of tumult these days. Rates are bizarrely low, but many homes are worth much less than the mortgage balances they secure. People are still losing their homes left and right, but millions of mortgage applications of creditworthy borrowers are being rejected every year. Against this backdrop, it’s really no wonder that would-be buyers and homeowners alike are in a state of confusion about which end is up in the mortgage marketplace. To shed some light into this darkness, here are three very common mortgage mistakes that you might be making as we speak — and some strategies for avoiding or correcting them. Failing to try to refinance because you’re upside-down. At last count, nearly 11 million Americans were upside-down on their homes — meaning they owe more in mortgage(s) than the home is worth — and that’s about 23% of all American homes. With interest rates having dropped to historic low after historic low, more than 10 million Americans have refinanced their mortgages since 2009. But most homeowners with negative equity feel like they are trapped in their 6, 7 or even 8% interest mortgages, unable to save the hundreds of dollars every month of a mortgage at today’s sub-4% rates, because no lender will refinance them. The fact is, multiple options abound for lowering your interest rate and monthly payment if you’re upside down on your home loan. Banks are increasingly amenable to simply modify existing mortgages to render them less prone to default and foreclosure — especially when the homeowner is trying to recover from a financial hardship like interrupted income due to job loss or illness, and especially with upside-down loans (which are particularly liable to strategic default, without modification). Also, many banks offer refis on mortgages as much as 25% underwater (so long as no payments have been missed) through the Obama administration’s Home Affordable Refinance Program and the less widely adopted Federal Housing Administration Short Refinance Program. Contact your own mortgage bank’s loss mitigation division about a loan modification or a refi under HARP, or reach out to any mortgage broker that offers FHA loans to apply for the Short Refi Program. Walking into the bank branch to get a mortgage. Not to jump on the anti-bank bandwagon, but unless your bank happens to be a neighborhood credit union or one of the few large banks that ranks highly in customer satisfaction (e.g., USAA), you’ll likely not be satisfied with the speed, customer service or assertiveness of a mortgage banker you meet just walking into the branch. If you work with a mortgage broker or a private mortgage banker you meet by referrals from your circle of friends and relatives, chances are good you’ll get someone who understands that the long-term health of their business depends on you and clients like you getting a deal closed in a timely manner. Specifically, you should request referrals from folks you know who have bought or refinanced homes relatively recently, as the mortgage pros who are still in business and closing deals successfully these days are necessarily skilled at navigating a very tricky and restrictive mortgage market. Also, if you work with a mortgage broker whose company also has its own bank, you get the best of both worlds: a professional who will shop lots of banks’ offerings to find the best options for you, and someone who can coordinate your transaction via a small pool of local, experienced appraisers. Many large banks select appraisers who don’t know the area, which can kill your deal in the long run. Oct 29, Saturday – 17th Annual Hallo ‘Tween Costume Party is at ‘Tween Waters Inn from 8 p.m. to 2 a.m. This adult over-age-21 event is the islands’ most notorious Halloween bash, and traditionally the largest and most famous Halloween party on Sanibel and Captiva Islands, regularly attracting more than 1,000 colorfully costumed guests. The outdoor event is infamous for the scope, size, scariness, outrageousness, raciness, zaniness, variety and creativity of costuming. Tickets are available at the door. This year, the theme is “Twisted Circus” with live music and a $1,000 costume contest with judging at midnight. Every year this party grows and grows, with many planning their costumes months in advance. Another record turn-out is expected. More info on www.tween-waters.com. Nov 5, Saturday – 18th Annual Esperanza Woodring Memorial Cast Net Rodeo at The Bait Box on Sanibel. Cast net throwing lessons and demonstrations begin at 9 a.m. with competitions starting at 10:30 a.m. Children’s registration is FREE and each child receives a prize just for competing. The Bait Box was founded in 1971 by lifelong Sanibel resident Ralph Woodring, son of Esperanza Woodring. Esperanza was born on Cayo Costa in 1901 and spent more than 75 years on the waters around Sanibel as a commercial fisher and as a fishing and shell guide. She was a master at the art of casting a net, rather unusual for a woman at the time. This event in her honor includes a raffle and refreshments with all proceeds benefiting START (Solutions to Avoid Red Tide) which is a grassroots organization and member of the Red Tide Alliance which is comprised of Mote Marine Laboratory in Sarasota and Florida Fish and Wildlife Research Institute in St. Petersburg. The Alliance focuses on the development of programs that monitor, control, and mitigate red tide. The Cast Net Rodeo is a fun day for the whole family at The Bait Box on Sanibel. For more info on START, go to www.start1.com. Nov 17-20, Thursday thru Saturday, Buck Key Weekend – Part of the J. N. “Ding” Darling National Wildlife Refuge, the Buck Key Paddling Trail reopened last winter after Hurricane Charley damage closed it in 2004. Restoration was made possible by a group of avid kayakers from Captiva Island who formed a committee to raise funds for the clearing of the trail. Toward that end, the committee, in partnership with “Ding” Darling Wildlife Society-Friends of the Refuge and Captiva Cruises, is planning a weekend of informative and fun events to benefit Buck Key upkeep and preservation. The public is invited to all the festivities. The weekend kicks off with a free “History of Buck Key” presentation at the Captiva Island Yacht Club on Thursday, Nov 17 from 10 to 11:30 a.m. with seating on a first-come basis. Friday will feature kayak tours of Buck Key with Captiva Kayaks. On Saturday, Nov 19, Captiva Cruises’ Santiva will have for a historic cruise of Roosevelt Channel and Buck Key, departing from McCarthy’s Marina. 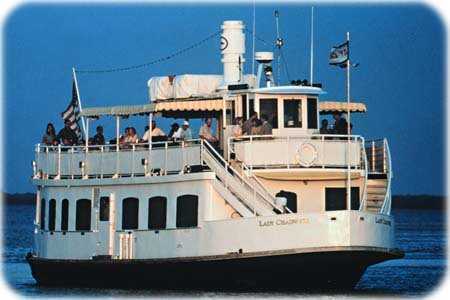 The weekend culminates on Sunday, Nov 20, with a private Jazz Brunch Cruise aboard the Lady Chadwick. 5 new listings: Sanibel Arms #1 2/2 $429K, Sunset South #1C 2/2 $489K, Compass Point #213 2/2 $599K, Sanibel Surfside #126 2/2 $849K, Pointe Santo #E3 2/2 $885K. 8 price changes: Tennisplace #D23 1/1 now $155K (short sale), Lake Palms #9 2/2.5 now $275K (short sale), Sandalfoot #4C2 2/2 now $489K, Sundial #O201 2/2 now $495K, Sandalfoot #4C2 2/2 now $548K, Clam Shell #C 2/2 now $749K, Junonia #202 2/2 now $849K, Wedgewood #305 3/3.5 now $1.349M. 1 new sale: Sundial #E201 2/2 listed for $849K. 4 closed sales: Coquina Beach #3E 2/2 $375K, Pelicans Roost #103 2/2 $525K (short sale), Pointe Santo #C7 2/2 $677K, Loggerhead Cay #174 2/2 $562.5K. 5 new listing: 1537 Sand Castle Rd 4/3 $774K, 568 Lighthouse Way 2/2 $1.5M, 2729 Wulfert Rd 4/4.5 $1.595M, 3864 West Gulf Dr 4/5.5 $2.475M, 3517 West Gulf Dr 4/5 $6.5M. 12 price changes: 766 Donax St 2/2 duplex now $299K, 490 Elizabeth Rd 2/2 now $418K, 6101 Castaways Ln 4/2 now $599K (short sale), 927 Limpet Dr 3/3 now $739.9K (foreclosure), 1360 Eagle Run Dr 5/3.5 now $979K (short sale), 2367 Wulfert Rd 4/3.5 now $1.289M, 730 Birdie View Pt 3/2.5 now $1.35M, 5391 Shearwater Dr 3/3.5 now $1.649M, 780 Birdie View Pt 5/4.5 now $2.199M, 654 Kinzie Island Ct 6/4/2 now $2.295M, 5045 Joewood Dr 3/3.5 now $2.295M, 1191 Bird Ln 4/3 now $2.695M (short sale). 6 new sales: 9239 Kincaid Ct 2/2 listed for $249K, 1212 Middle Gulf Dr 2/2 listed for $339K, 3180 Twin Lakes Ln 3/3 listed for $599K, 1204 Harbour Cottage Ct 3/3 half-duplex listed for $749K, 6192 Henderson Rd 3/2 listed for $899K, 1052 Whisperwood Way 3/3 listed for $1.495M. 4 new listings: 1912 Ibis Ln $249K; 4556 Buck Key Rd $259.9K; 5830 SanCap Rd $389,555; 1837 Buckthorn Ln $495K. 3 price changes: 600 Hideaway Ct now $285K, 5121 SanCap Rd now $299K, 1114 Seagrape Ln now $495K. 1 new listing: Beach Villas #2533 2/2 $850K. 1 price change: Captiva Shores #6B 2/2 now $749K. 1 new listing: 17201 Captiva Dr 4/5.5 $4.995M. 4 price changes: 17 Urchin Ct 2/2.5 now $685K, 11516 Andy Rosse Ln 6/6 now $2.395M, 16697 Captiva Dr 2/2 now $2.495M, 16730 Captiva Dr 5/4.5 now $5.25M, 16950 Captiva Dr 2/2 now $10.385M. 3 price changes: 16989 Captiva Dr now $1.2M, 16970 Captiva Dr now $2.995M, 16980 Captiva Dr now $2.995M. This representation is based in whole or in part on data supplied by the Sanibel & Captiva Islands Association of Realtors or its Multiple Listing Service. Neither the association nor its MLS guarantees or is in any way responsible for its accuracy. Data maintained by the association or its MLS may not reflect all real estate activity in the market. The information provided represents the general real estate activity in the community and does not imply that SanibelSusan Realty Associates is participating or participated in transactions. If your property currently is listed with another broker, this is not intended as a solicitation of that listing.